Our extensive range of company owned equipment enables us to undertake all types of work. London Surfacing have been working to a Quality Assured system that is structured around seven main operating procedures, which form the core of our system. 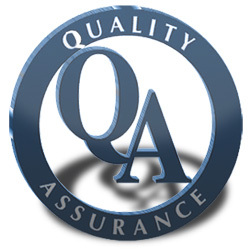 We therefore believe that our management systems guarantee our performance from initial tender stage through to signing off a contract, to the satisfaction of our client. Wet pour is an impact absorbing surfacing for children’s play areas, made up of a blended mix of bounded rubber granules. Our Safetyfall wet pour is ideal for making play areas look bright & exciting. As the children run around enjoying themselves, there is the added piece of mind knowing that the surface is safe and that any impacts and injuries will be reduced in their severity. Private roads, driveways & footpaths. 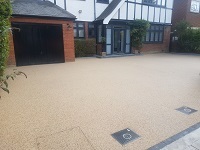 As well as carrying out civil engineering & public works contracts for local authorities since it's inception, London Surfacing have always undertaken private projects, working directly with schools, resident associations, private enterprises & homeowners. London Surfacing not only carry out surfacing on normal roads & carriageways, we also have experience of rail and train systems. Working alongside VolkerRail, we have over the past decade resurfaced large parts of the Tramlink in South London & recently have worked in the Bombardier train depot in Ilford. Trusting our knowledge and respecting your surfacing needs. Giving 100% to every surfacing project from start to finish. We continually set ourselves performance goals and aim to build strong relationships with partners, contractors and clients. Continually improving our knowledge of all aspects of surfacing work means we're flexible enough to adapt and apply our skills in new areas. Barchester, The Fernes Care home, Fareham.